Personalize your space with beautiful, nature-inspired prints! 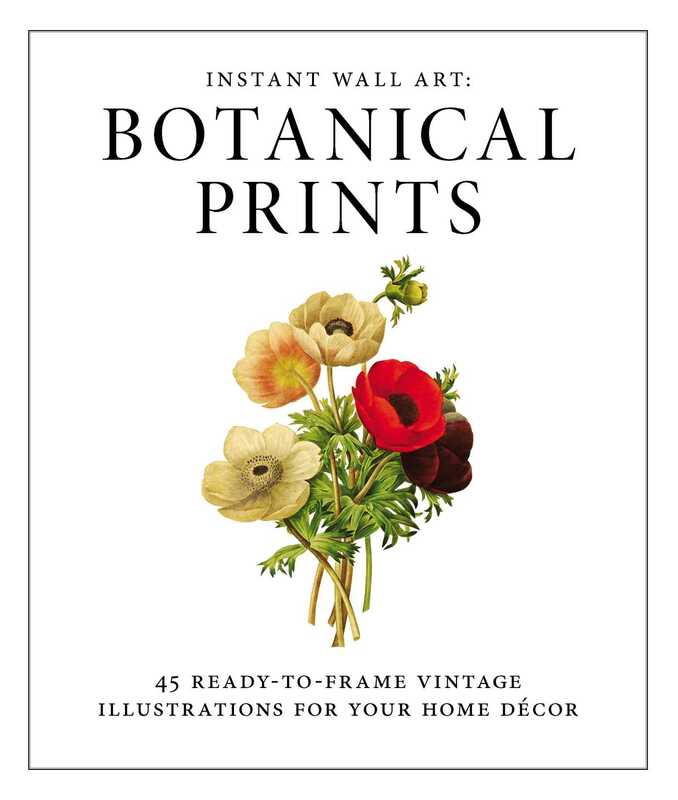 Featuring dozens of stylized, vintage illustrations, Instant Wall Art: Botanical Prints captures the intricate details and vibrant colors of the world's most stunning plants. Each page encourages you to frame your favorite pieces and personalize your space with the beauty of the outdoors. From the blooming Cape blue water lily to the flowering peach tree branch, this book's beautiful, budget-friendly art makes it easy and inexpensive to transform your entire home. With Instant Wall Art: Botanical Prints, you can finally say goodbye to blank walls and hello to the nature-inspired look you love--all at an exceptional value!